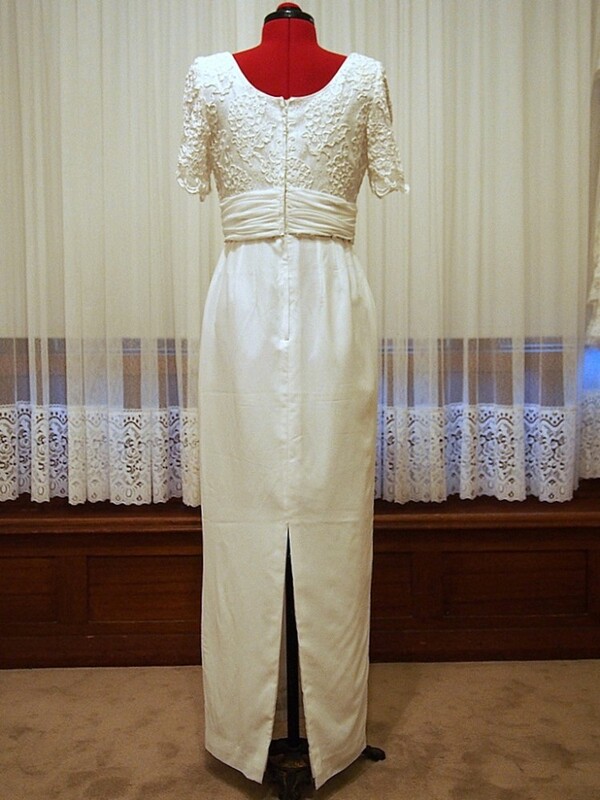 Beautiful pencil/sheath-style dress. 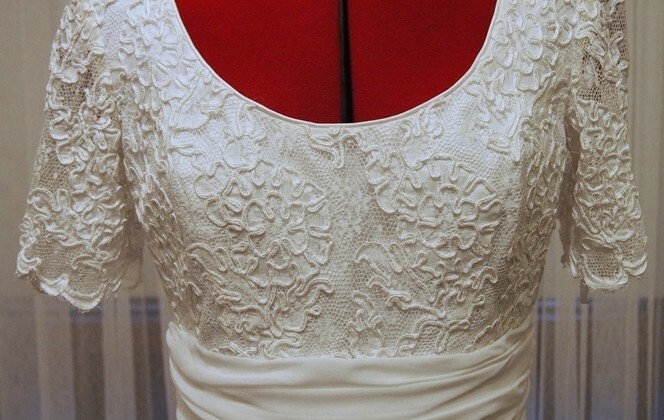 Simple from the waist down with a detailed and elegant lace upper bodice. 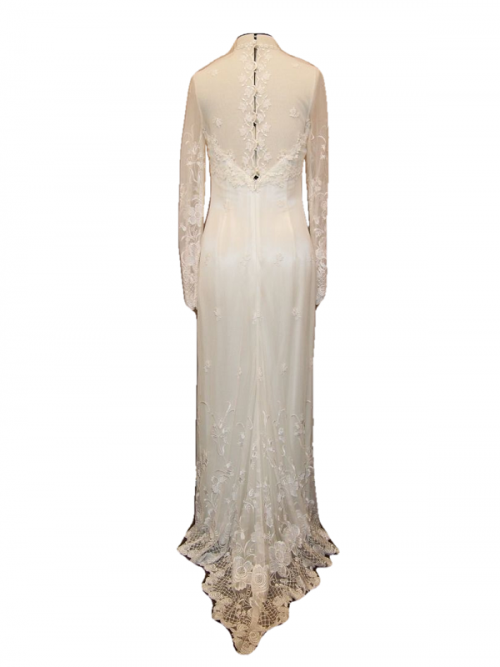 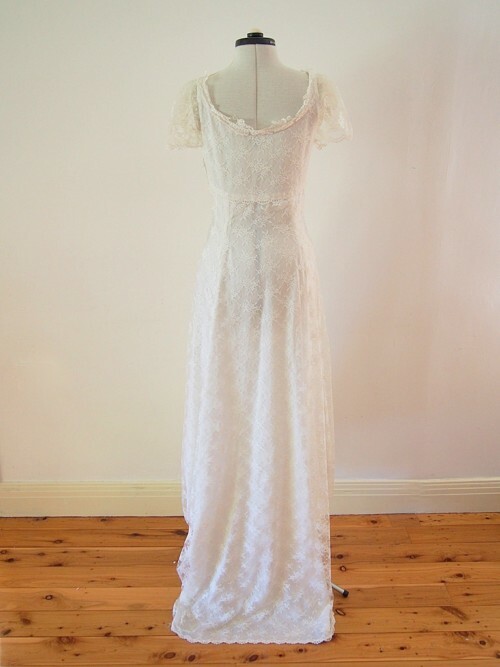 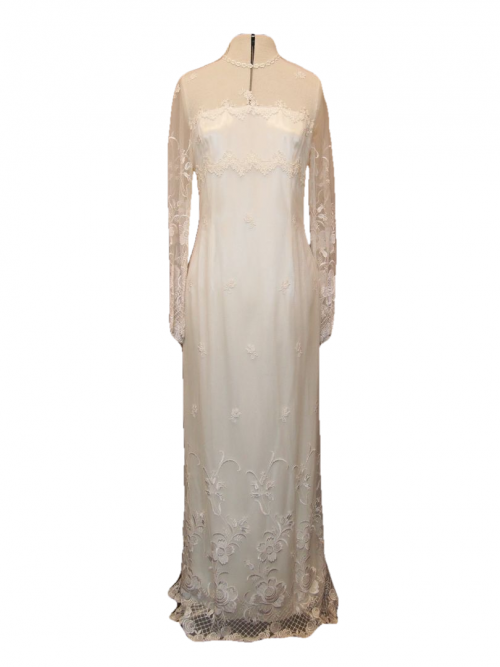 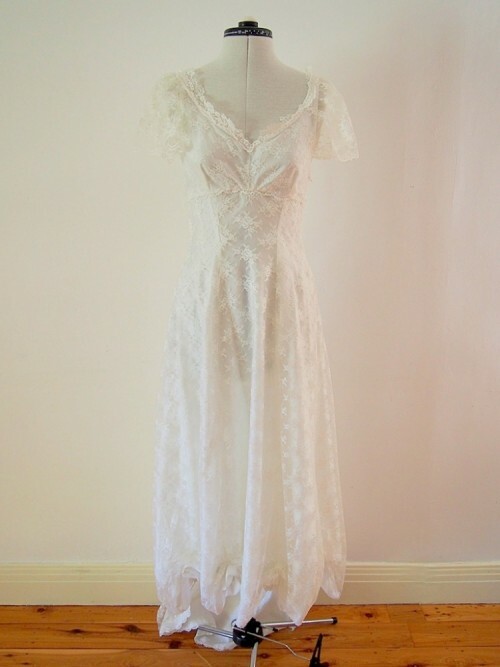 The Annabellle gown has short sleeves with a delicate feminine lace finish on the arm. 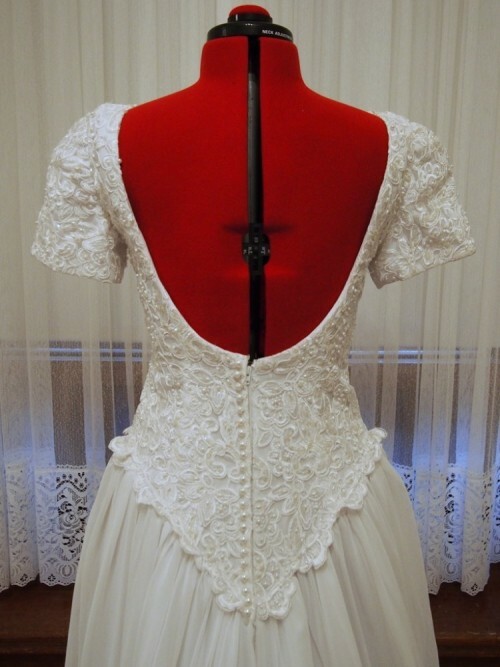 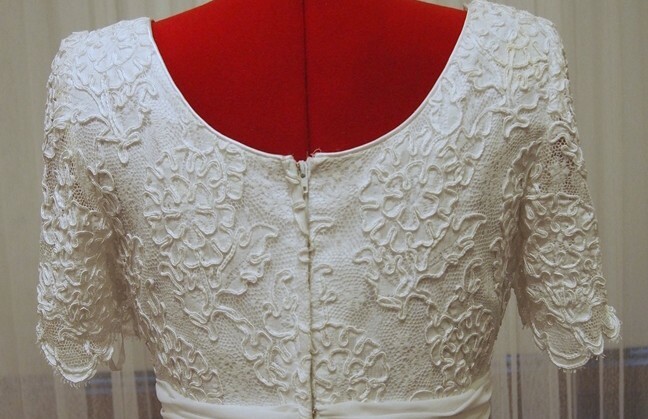 There is a small split at the back-centre of the dress to allow movement. 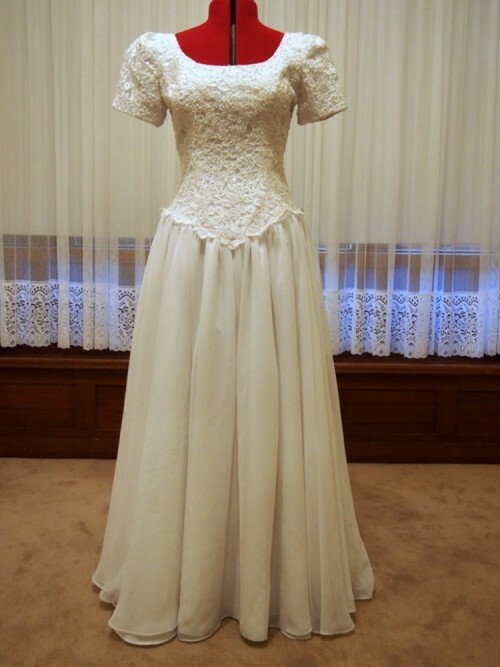 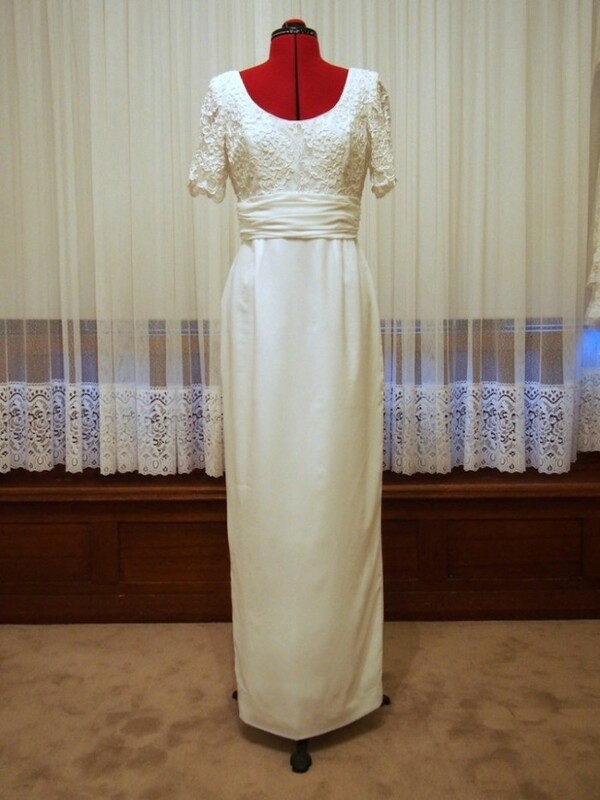 Not a floor length dress but the simplicity and elegance of the gown exudes femininity. 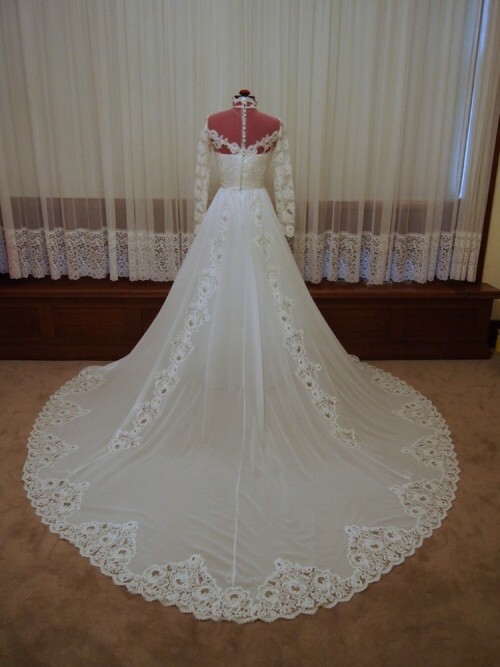 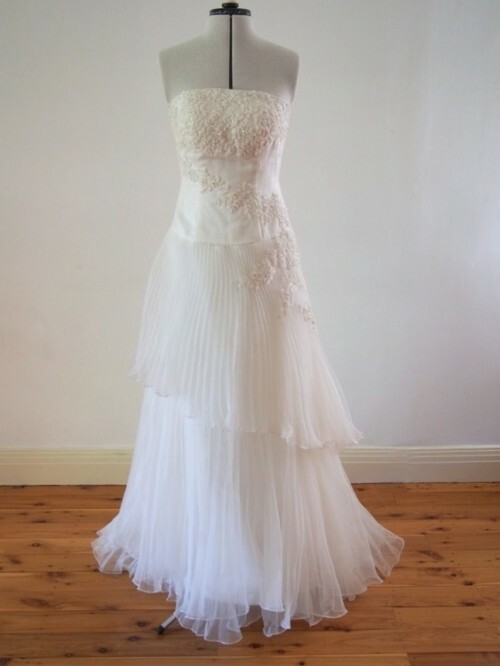 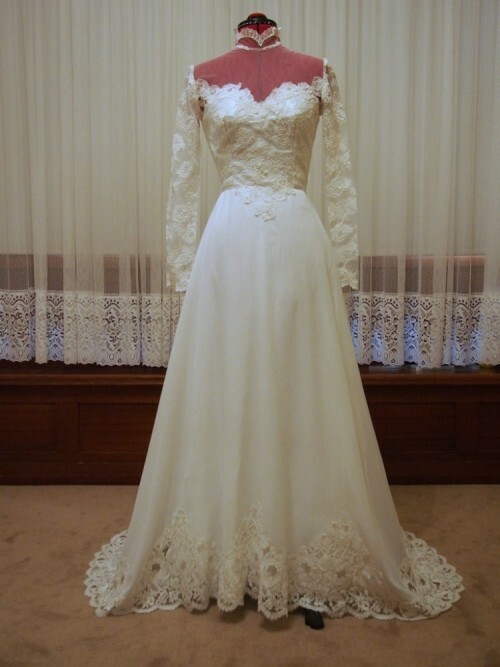 To see if the Annabelle gown is the perfect fit for you, please contact us.